So who wants to read a half baked review from June? No one? Well, blame the ice cream companies and all their early season nonsense. I am bored out of my ice cream mind right now with how little is going on. Sure I could have grabbed a smashburger peppermint shake today but I already know it will be awesome (and why are BK and Arby's still serving up pumpkin shakes?). Just about every seasonal flavor out right now is a repeat from last year. BORED I tell you, BORED. I think I've spent half of the last three months eating nothing but all natural Turkey Hill (I know it sounds like they pay me to say that, but it's true, I really have been eating a ton of it, I just bought another one tonight.... maybe if I keep bringing it up then they'll treat us all to an expanded line up next year!). Anyway, here's the review (with a "surprise" ending). So it's actually a blend of plain and cherry, not just a straight cherry flavor. Ok, trying the white part first... not sure how I feel about that. It's not so much tangy but it definitely reminds you of yogurt. 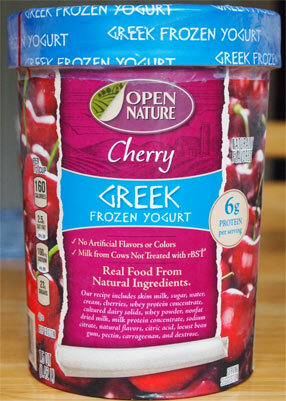 Trying the red/cherry part... definitely a bit of cherry bite, but not necessarily that typical greek yogurt tang. There's something there, but an amalgamation of many things, which is good, cause you know I don't like straight up tang. There are a fair amount of cherries about so that's good. I try one and it's... it's... interesting. Not icy or a ton of bite. It's.... iunno, like a cherry you find in yogurt (I know, that sounds really dumb right now). How about this: it's not icy, and it's not one of those cherries you bite and then instantly regret doing so a second later. Texture is decent. It's melting fairly easy and it's not super cold (like a high end ice cream), but no complaints on the gummy or weird fronts. If anything, it kind of reminds me of sherbet (a good one, not a cheap one). Well, my small bowl is gone and I'll give this one my approval. In terms of being all natural as well as being a froyo, you could do worse. The flavor builds but in a pleasant way. You know it's yogurt but in a good way. 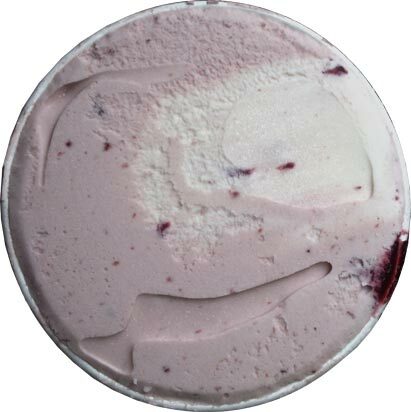 Cherry Garcia lovers will miss their chocolate chips (oh! or some white chocolate chips, mmmm) but as a healthy(ish) treat, this did a fine job. On Second Scoop >> Surprise Ending >> So I bought this in June. It's now December. This is still in my upstairs freezer. Sure, we went back for more here and there, but for some odd reason neither me nor my wife ever dug in to the last serving. From this, you may guess that I haven't tried any of their other flavors. You would be correct. It's not all Open Nature's fault, I just don't go to Shaws very often any more. If I ever do try another one, do you have a recommendation on flavor? And are all the flavors mixed like this? I'm surprised to see a Greek Frozen yogurt review because I thought Greek Frozen yogurt was a fad that had faded long ago. Even B&J's hasn't come out with any new Greek Frozen yogurt flavors for a couple of years. @Stride: I'm not opposed to it fading away, but it's not dead yet. We've seen players like Hood and Turkey Hill retreat from the space, but Ben & Jerry's hasn't completely abandoned it yet (they had two new scoop shop greek froyos) and Dannon is putting out new greek froyos still. I doubt it will ever completely die, but I'm happy to see companies focus on what they know. Give me a better product, not some trendy variation. Let the froyo companies handle froyo. TO WHOM IT MAY CONCERN: You make the most delicious iced yogurt. I shop at Safeway at least once per week and I buy the cherry but there are no other flavors available especially blueberry. 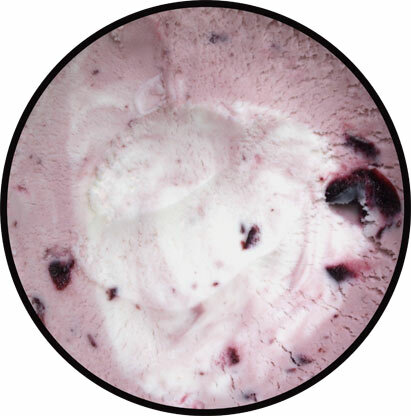 I love blueberry and cherry frozen yogurt. and now the blueberry cannot be found. Why? I have asked the store manager why and he doesn't know. They say they request it each time they order stock but they only receive cherry, strawberry and vanilla. I have frozen yogurt everyday and am bummed that you don't carry the blueberry anymore. Is there a chance that you will make it again? I hope so. By the way, I do buy the blueberry iced yogurt on a stick, it's OK but I prefer the container iced yogurt. 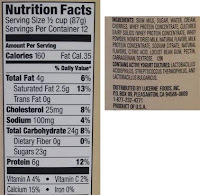 Where did the coffee flavor disappear? That was the best but cannot be found in store anymore. @Tali: seems like quite a few flavors have disappeared! there was also a honey, pineapple and mixed berry too.